Inspector 3rd Class Keith Kentwell appointed to assist the Metropolitan Licencing Inspector. 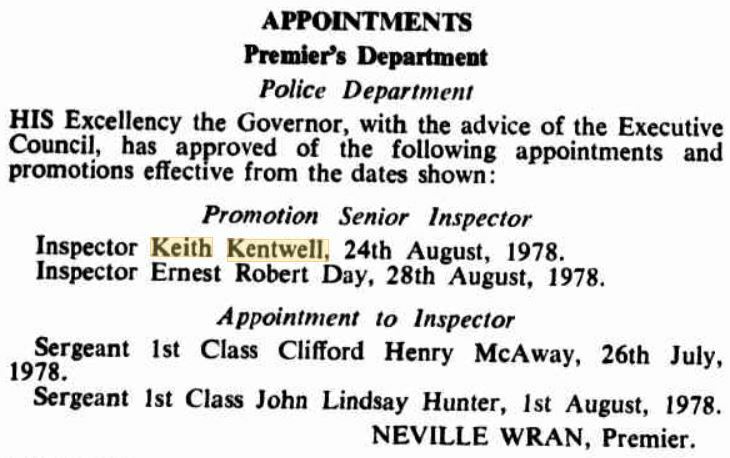 This Keith KENTWELL, Regd # 4809 is NOT the same Keith KENTWELL who was a NSW Police Cadet – Cadet # 375 and who joined NSW Police on 11 May 1942. Two different people.